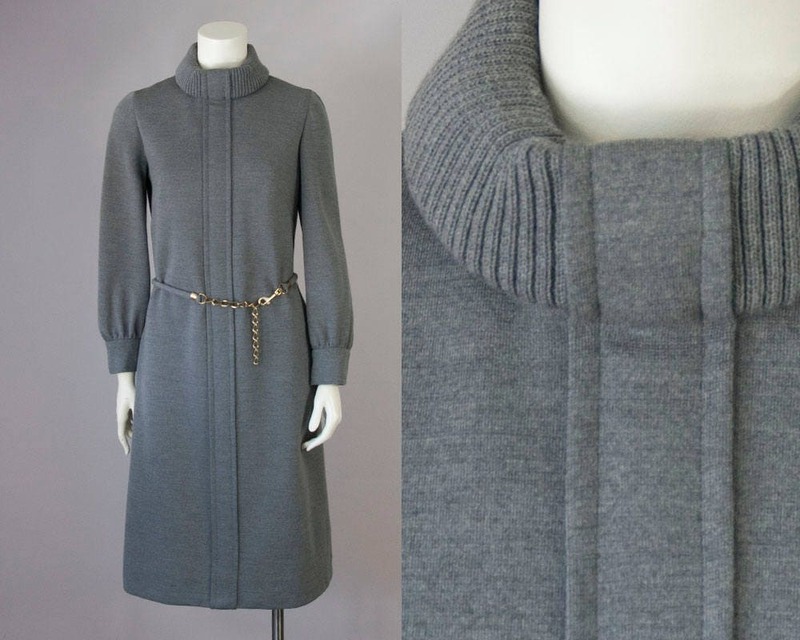 Late 60s vintage Bergdorf Goodman grey wool midi dress. Ribbed knit turtleneck. 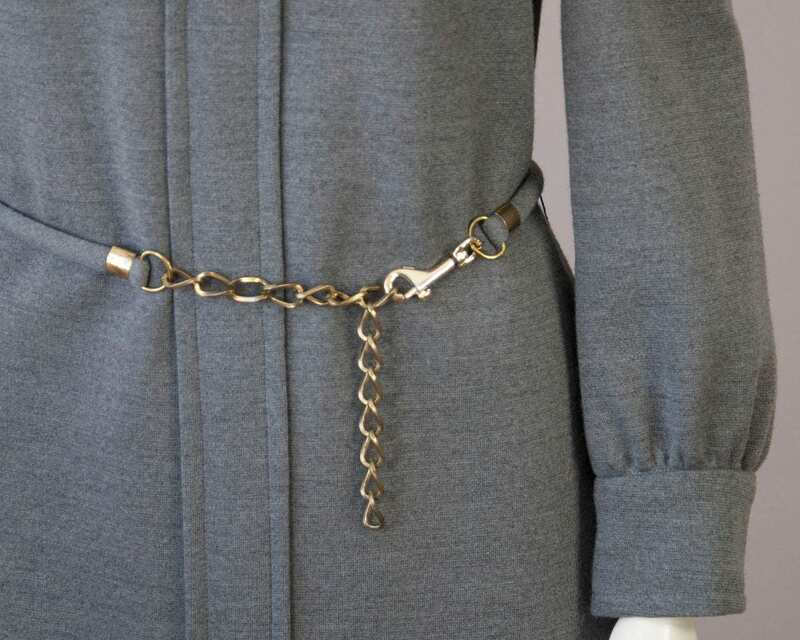 Matching fabric belt with gold chain. 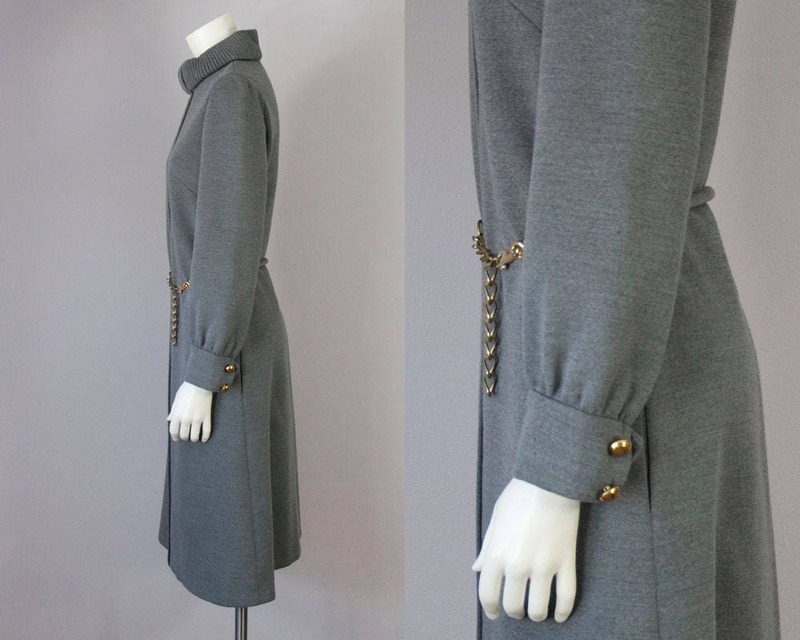 Gold decorative buttons on the cuffs (not functional). 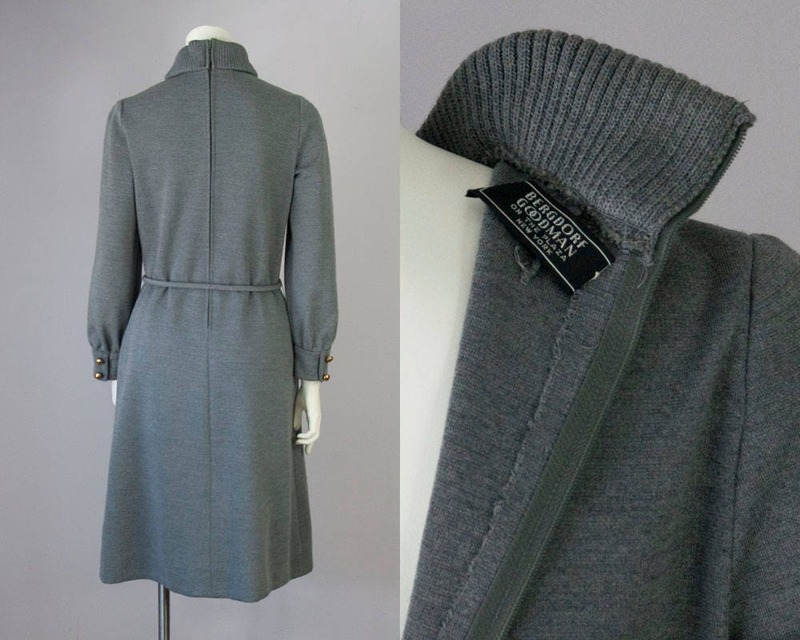 Side slit pockets. Thick knit with a good weight. No lining. Slight a-line silhouette. 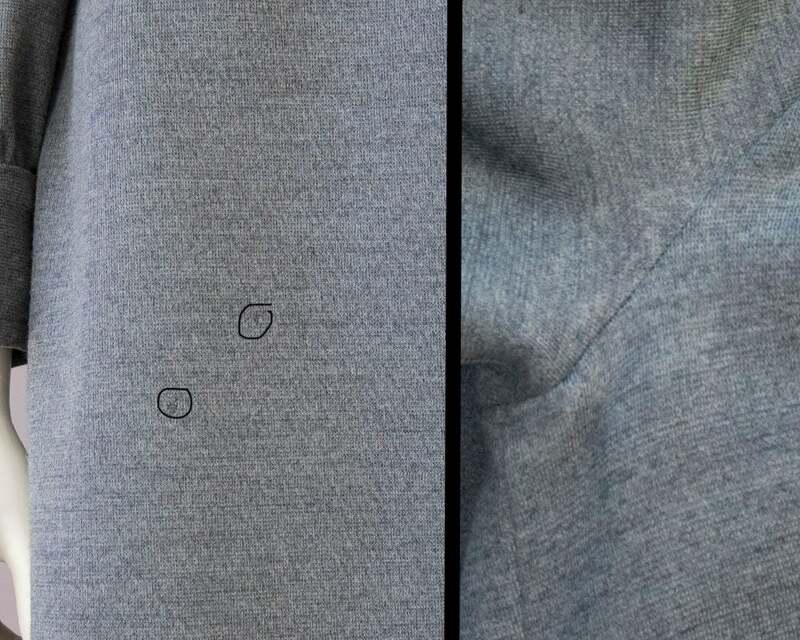 Imperfections: 2 small holes on front skirt near pocket -- see last photo. Under arm discoloration - much more prominent on right side than left -- see last photo (right side shown). Gold metal is tarnished.